Here a few guidelines for improving your international relations skills. As an etiquette expert, I am often called upon to give presentations to corporations and associations around the world. I’ve learned that each country has its own customs and etiquette rules, both written and unwritten. And if you don’t do your homework, you could wind up causing yourself or someone else much embarrassment or lose a big deal completely. As you excel in your industry, you too may be requested to present at an international conference, or attend a seminar with a group of foreign executives, and the last thing you want to do is inadvertently offend your hosts and colleagues. So here a few guidelines for excelling in international relations. Never go overseas with a “my way is the only way” attitude. Adapt to the colorations and textures of other cultures, adjusting to the client’s culture and way of doing business. This way, you can turn differences into opportunities and create success instead of embarrassment or failure. 2. Watch, listen, and learn. Don’t take preconceived ideas into a new business relationship. Instead, go in with an open mind and watch and listen to learn. For example, Americans tend to be uncomfortable with silence, but in some countries, silence is used as a negotiation tool or a way to regroup thoughts. Nonverbal communication, such as body language and facial expressions, often speak louder than words. Watch international clients closely to look for what isn’t being said. In the United States, we often make business our first priority, shaking hands and then sitting down to hammer out the deal. In other cultures such as in Asia, Latin America and the Middle East, people put a premium on relationship protocol. You may go to tea with a potential client several times in Japan, or be given a tour of the city in South America followed by lunch before ever discussing business. 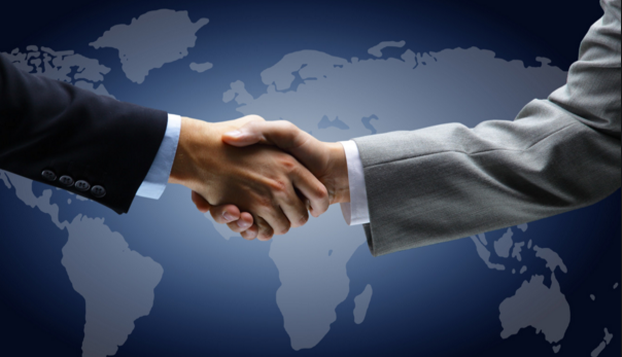 International business relationships take time and are built on trust and respect. When traveling internationally, notice how people act, dress and treat each other. If you can interpret a situation correctly, you can improve your ability to fit in. Where does the client put his hands during dinner? How does he signal the server? How does he greet others? If you don’t understand, ask questions. It’s better to ask rather than assume. Lines of communication weaken and misunderstandings are apt to take place when people don’t share the same language. Translations are worth their weight in gold in business negotiations. If you use an interpreter to communicate with a person from another country, look and speak directly with that client and not at or with the interpreter. Remember that some jokes or slang expressions don’t translate well. It’s better to stay away from humor or controversial subjects like politics or religion unless your host brings up the subject. 6. Research before you go. When you visit a client or colleague in another country, do a little research ahead of time regarding cultures and business practices. Even actions as simple as a handshake, nodding or eye contact frequency may differ from culture to culture. Be careful not to compare the living standards of other countries to those of your own as this could create an immediate barrier. Avoid making comparisons and negative comments, even when you think no one is listening. Those around you may speak or understand English as well. There are many more points to international etiquette as well, but these few will get you started off on your journey on the right foot.